Happy Easter! We celebrated today with church, family, and a small Easter egg hunt for Luke. 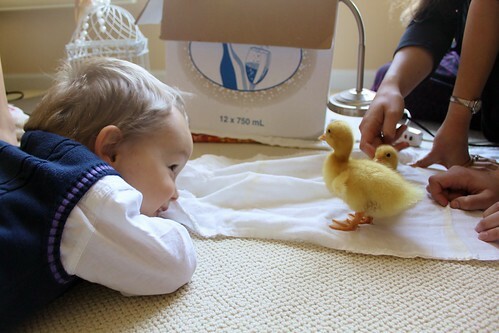 But the best picture of the day is of Luke's visit to the Hughes' new little pets.